CHERRY HILL, N.J., January 23, 2018 /3BL Media/ – Subaru of America, Inc. announced today its continued sponsorship of the Philadelphia Flower Show for the 17th consecutive year. A “must experience” horticulture event, the annual flower show will run from March 3rd through March 11th at the Pennsylvania Convention Center, with revenues supporting the charitable efforts of the Pennsylvania Horticultural Society (PHS). 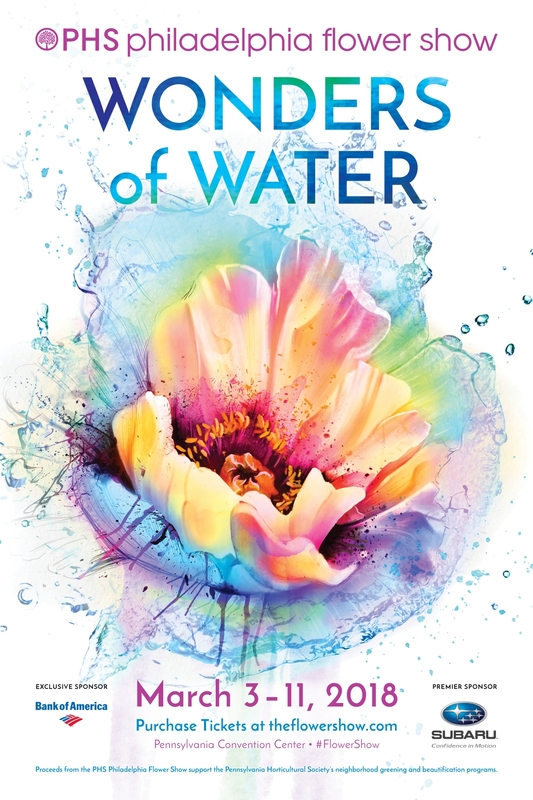 This year’s theme, “Wonders of Water," will celebrate the beauty and life-sustaining interplay of horticulture and water. As premier sponsor, Subaru will pay tribute to its 50th anniversary in the U.S. with an exhibit that showcases the brand’s most beloved vehicles including the all-new 3-row Ascent SUV, as well as its growing presence in the greater Philadelphia area with its upcoming headquarters in Camden, NJ. In tune with the Flower Show’s theme of water, the Subaru exhibit will connect the past with the future by incorporating a wooden tunnel bridge and river, with the brand’s first ever vehicle; the Subaru 360 and latest vehicle, the Subaru Ascent, on either side. The Gardener’s Studio will educate attendees on the importance of water sustainability in a fun, playful setting, featuring the 2018 Subaru Forester. At the exhibit, visitors can learn from nationally recognized garden experts on ways to incorporate water sustainability into their home garden through various rainwater collection techniques, as well as ways to incorporate water features into their home garden. Flowers After Hours is a new way to experience the 2018 PHS Philadelphia Flower Show on opening day, Saturday, March 3, 2018. Admission to the '70s-themed party includes exclusive evening access to the Flower Show after it has closed to the public. This event is for guests ages 21 and over. Doors open at 8:30 pm; event runs until 11:30 pm. For more information, visit: https://theflowershow.com/experiences/flowers-after-hours/. The exhibit entitled, “Play with Water” will feature the 2018 Subaru Crosstrek and water-friendly Subaru accessories. On ‘Fido Friday’ March 9th, pet parents are encouraged to bring their furry friends along for some Flower Show fun and walk the ‘Subaru Loves Pets’-branded orange carpet. Parents and pups will also receive a free Subaru Loves Pets dog ID tag.